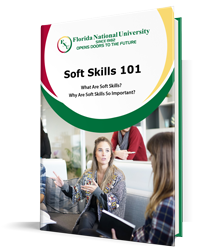 The current successes of Florida National University did not come without its fair share of adversity. Blood, sweat and tears were poured into the creation of this building, and as is human nature, uncertainty crept in. But all those years of perseverance have led us here, to the opening of the Dr. Jose Regueiro Building. 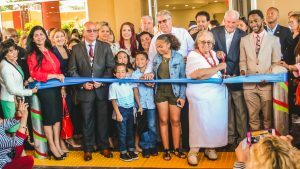 The facility celebrated its Grand Opening on Thursday, June 7th, 2018. Friends, family, respected colleagues and members of the community all joined together to ring in the building. Professionals from all walks of life joined the celebration, including representatives from the offices of The Honorable U.S Senator Marco Rubio, The Honorable U.S Congressman Mario Diaz-Balart, the State Attorney Katherine Fernandez Rundle, and various Municipalities (to name a few.) The ribbon cutting took place right outside the building’s entrance. After some personalized tours, a VIP Reception took place on the 6th floor. With food and live music, the joy and energy throughout the room was undeniable. When walking into the lobby, a portrait of the building’s namesake greeted you. Dr. Jose Regueiro’s vision was to enrich his community through the gift of education. The state-of-the-art facility helps FNU continue to fulfill his ultimate goal and propels the university into a new generation. For photos/videos of the event, be sure to check us out on Facebook!